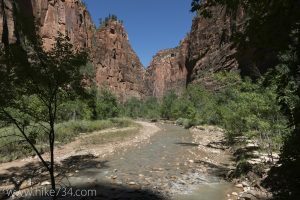 This family friendly, short out-and-back hike takes you along the Virgin River via an accessible paved trail. From the Temple of Sinawava bus stop, follow the Riverside Walk trail as it wanders beneath cottonwoods. Little side trails take you to the banks of the river at various points. Be careful to obey Park Service signs put in place to protect sensitive areas. 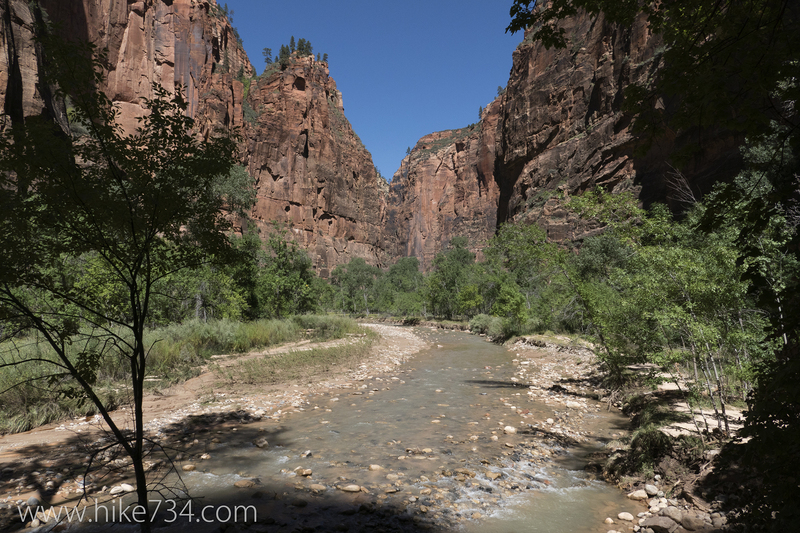 Along the trail, the towering red rock walls of the canyon give you a sense of its magnitude. Seeps in these walls provide water to hanging gardens and small pools. Flowers grow from impossible cracks and swampy areas are formed in stark contrast to the desert just outside of the canyon. Mule deer are frequently seen along the trail, in addition to birds like warblers and wrens, that love the shade of the canyon. 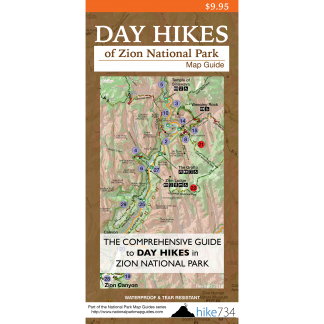 Trailhead: Take the National Park Service’s free shuttle to the Temple of Sinawava stop in the main Zion Canyon or drive the Zion Canyon Road if the shuttles aren’t running and the road is open to private vehicles.